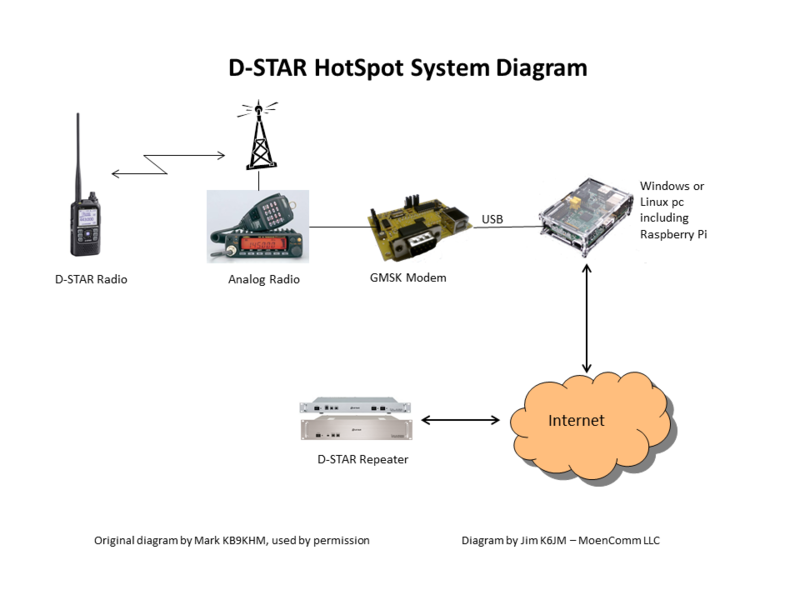 Hams into D-Star and other digital voice modes sometimes ask themselves whether to set up a Hotspot or an Access Point. Sometimes they just want to link to their favorite reflector without bothering others using the local repeater. Or, there is no nearby repeater, but they want to get on D-Star. Or they will be travelling and want to bring D-Star with them. Both Hotspots and Access Points can, as I like to say, extend the D-Star network (and increasingly, other DV networks) to your QTH, neighborhood or region. Both require a D-Star radio, typically an HT. So radio is involved, at least in the last mile or last foot, with every QSO. There is no arbiter of terms in this niche of our hobby, but “traditionally,” a Hotspot has consisted of an internet-connected PC with appropriate software, a modem of some sort, and an analog FM transceiver. These are often capable of between 5 and 40 watts, though rarely do people run at the maximum power level. These Hotspots, particularly with a good outside antenna, can provide coverage from a few miles to quite a bit farther. And with a duplexer and a second radio, a simplex Hotspot can be turned into a full duplex repeater. Access Points, on the other hand, traditionally are small devices, again working with an internet-connected PC and with a low power transceiver chip in the device, obviating the need for an external transceiver. These devices typically operate in the 10 milliwatt range with small antennas plugged into the devices. They provide excellent coverage around the house and nearby environs. Manufacturers of these devices usually warn against using them with outside antennas (though some people do), since the design is not focused on protecting against strong RF or nearby lightening strikes. Access Points are simpler to set up, are smaller and are ideal for what they were designed to do — provide close-by coverage and allow QSOs with other Hams over the network. They are really the cat’s meow when travelling — just bring along your HT, your Access Point, a tablet, laptop or Raspberry Pi and connect in using your phone’s or the hotel’s wifi. Hotspots give you more coverage, so if you like to walk the dogs a mile from the house, you can have that QSO anyway. In some areas without access to full-sized ICOM repeaters, they allow you to provide mobile access to the D-Star network all around town or further. 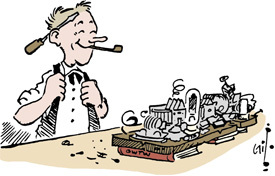 A more subtle payout is the learning and satifisfaction from successfully doing a Do It Yourself project. More information about Hotspots is available here. Note that page focuses on GMSK Modems, but other excellent modems are also available. Multi-mode modems are also being developed. DVAP – (DV Access Point) by Internet Labs. Robin Cutshaw AA4RC and Moe Wheatley AE4JY of Internet Labs invented this category that has become extremely successful. It is well designed and really well supported. The DVAP works great with Robin’s software (DVAPTool) as well as other software, such as WinDV/ConDV, G4KLX, and FreeStar. DVMEGA – Guus PE1PLM has designed a series of interesting products. His Access Point products include a Dual Band Radio shield (that fits on an Arduino board running the firmware) and a Dual Band Radio board for the Pi. DV4mini – This small USB stick is a complete UHF access point that simply plugs into a computer, whether Windows or a Raspberry Pi. It is multi mode and can talk to a D-Star radio, a DMR radio, a C4FM radio or a P25 radio. Author adminPosted on 13 February 2016 12 August 2016 Leave a comment on Hotspots vs Access Points?